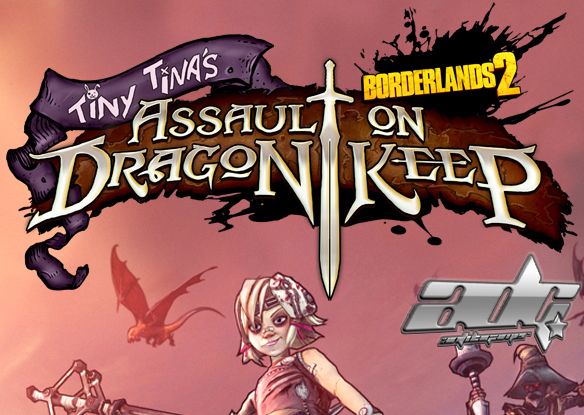 2K and Gearbox Software announced today that Tiny Tina’s Assault on Dragon Keep, the fourth and final add-on content campaign for Borderlands® 2, is available for download today worldwide* for all available platforms. Tiny Tina’s Assault on Dragon Keep features the popular Tiny Tina as she takes on the role of Bunker Master in a game of “Bunkers and Badasses.” Players join the vault hunters on an epic quest of revenge and redemption through dynamic and fantastical settings filled with castles, dungeons and magic forests. Borderlands fans will also fight off more new unique enemy types in Dragon Keep than in all three of the previous add-on campaigns combined, including sorcerers, wizards, orcs, dragons and more. This news posting was source quoted from a 2K Press Release.